Model Iman attends Glamour's 25th Anniversary Women Of The Year Awards at Carnegie Hall on Nov. 9, 2015 in New York City. Photo: Gilbert Carrasquillo/FilmMagic. 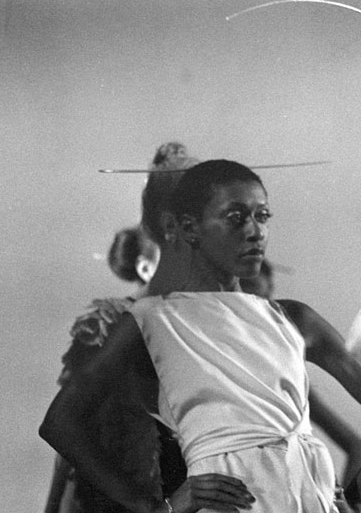 Before Naomi Campbell and Tyra Banks, there were black models who had insurmountable challenges to overcome before breaking into mainstream fashion. As pioneers about to pave the path for future generations, it was not just a matter of convincing an editor or photographer to hire them but they also had to sway society’s perception of beauty. The upheaval and sweeping changes that came in the 1960s and 1970s — the civil rights movement, the sexual revolution and the rise of feminism — African Americans started to make in-roads in industries like music, theatre and film that appealed to a wider audience. Girl groups like the Supremes displayed unbridled glamour. Lena Horn and Diahann Carroll was pure elegance. While action film headliner, actress Pam Grier and counterculture activist, Angela Davis, portrayed strong confident women whose grittier street style, none-the-less, made them influential style icons. Yet, fashion magazines seemed unwilling to include models of colour — and when they did — it was never on the coveted covers. It took a fashion show in France to galvanize fashion to finally acknowledge the era’s rallying call that Black is Beautiful. In 1973, as a PR stunt to raise money to repair the Palace of Versailles, organizers devised a charity fashion show that would seemingly pit French designers like Yves Saint Laurent, Hubert de Givenchy and Christian Dior against American designers such as Stephen Burrows, Anne Klein and Oscar de la Renta. Back in this era, Paris ruled the world of fashion while New York was considered nothing more than an upstart. The fashion show boasted a guest list that included royalty, Hollywood celebrities and many well-heeled luminaries of the day. The American designers touched down in Paris for the show with over 30 models, of which 11 were black. The ethnic contingent was more for economic reasons — they were cheaper. Two unexpected things happened that historic night of the show. The French collections looked overbearingly fussy whilst the New York clothes came off as fresh and modern, mainly due to the black models on the runway and how they moved, which left a lasting impression on the audience and put American fashion on the map. 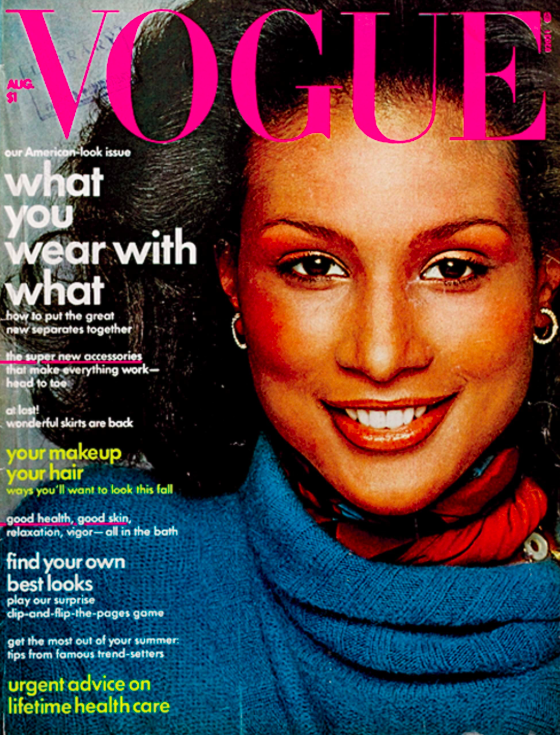 The following year another landmark moment occurred when the August 1974 issue of American Vogue featured a black model, Beverly Johnson, on their cover – the first time in the legendary fashion magazine’s eight decade history. The couturiers of Paris, specifically Yves Saint Laurent and Hubert Givenchy, started to cast black models in their runway shows and advertising featured more non-white faces. But there was also a tendency to fetishized blacks in fashion – either as a trend or novelty. In 2008, Italian Vogue did an all black issue of the magazine which sold out and was reprinted to fill demand. While some praised the publishers for addressing the diversity problem in fashion, others chalked it up as nothing more than a publicity stunt, questioning how the problem could be solved by dedicating one entire issue to black models instead of making every issue inclusive. But perhaps it would help if change came from within the institutions. In 2017, British Vogue made headlines by appointing their first black editor-in-chief. Obviously, the conversation regarding diversity in fashion is one which still rages on today. In honour of Black History Month, we look at the trailblazing black models who cracked fashion’s glossy facade to reflect more than one skin colour. 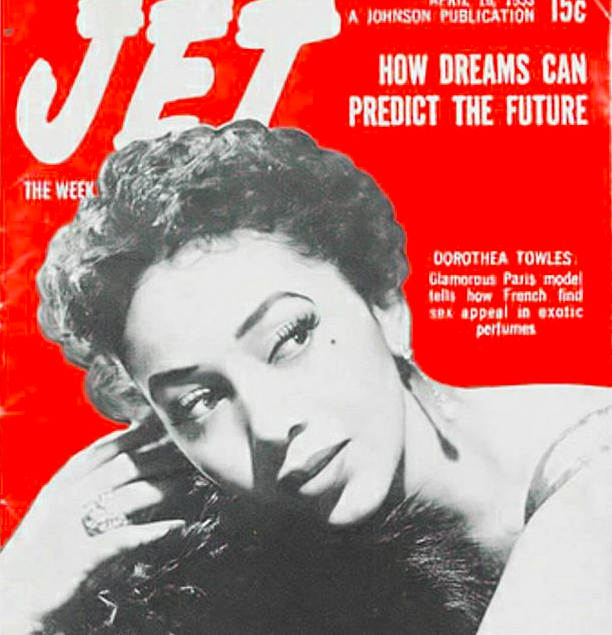 The Texas born Dorothea Towles Church is widely credited as the first black model to conquer Paris when she strode the runways of Christian Dior, Pierre Balmain, Jacques Fath and Elsa Schiaparelli back in the 1950s. She did not set out to be a model. As one of eight children in a farming family, she moved to Los Angeles when her mother died and pursued a master’s degree in education at the University of Southern California. It was during a vacation in Paris – where she was accompanying her sister who was in a concert choir – she met Christian Dior who cast her in one of his fashion shows. That gig lead her to stay and continue modelling in Paris for the next few years. When she returned to America in 1954, she continued to model in New York and became the first black model featured by Maybelline. One of her legacies was her desire to introduce young black women to the style of the great couturiers of Paris. She had trunks of couture outfits she had bought from the designers at a discount during her years working in Paris. She began touring black colleges across America, staging fashion shows and fundraisers, showcasing her couture pieces. In the 1998 book, Black and Beautiful, by Barbara Summers, the model was quoted as saying, “I feel that my going all over America with my show had a great influence on American black women dressing differently and feeling good about themselves.” Church was at work on an autobiography but never finished it before her death in 2006. Detroit born and multi-racial looking, the model was often evasive regarding the makeup of her heritage but Luna will go down in history as the first black model to appear on the cover of any Vogue. It was 1966 and it was the British edition of Vogue, which was at least 8 years ahead of American Vogue for depicting a black model on the cover. Her arrival on the fashion scene coincided with the Civil Rights Act, which prohibited discrimination based on race, colour or religion. Except mainstream America was perhaps not ready to accept her beauty. In 1965, a Harper’s Bazaar photo spread of her shot by fashion legend Richard Avedon, caused advertisers to pull ads and some readers to cancel their subscriptions. The New York-based magazine refused to feature her again which prompted her to decamp to London. She skyrocketed to the top of the fashion world, landing her landmark Vogue cover and soon she was orbiting in the company of the likes of Mick Jagger, Michael Caine, Brian Jones and Julie Christie. She served as a muse to film makers Andy Warhol and Federico Fellini. 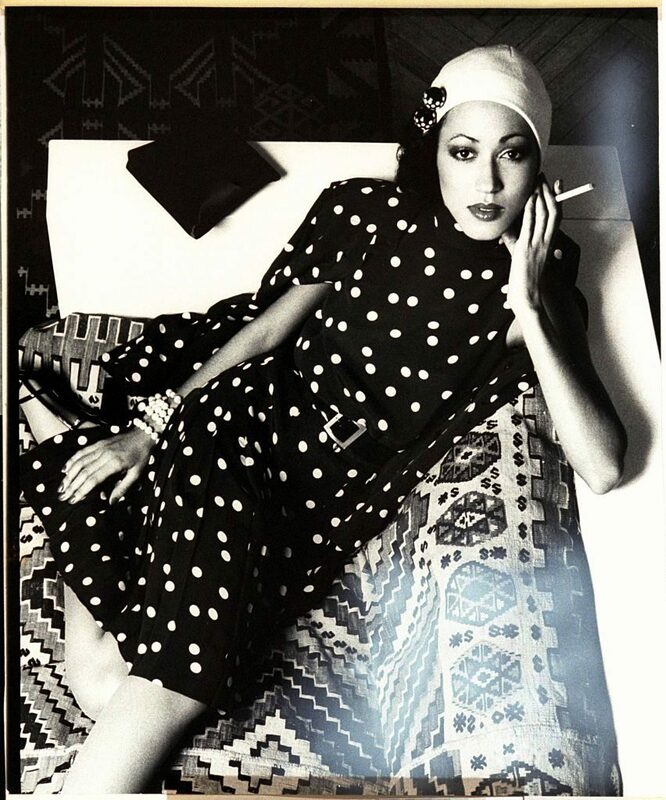 Her beauty seemed captivated everyone, from Salvador Dali, who referred to her as “the reincarnation of Nefertiti” to Jackie Kennedy who went up to her in a New York nightclub and said, “You are very beautiful.” Her influence was such that her famous pose on British Vogue was emulated by other photographers and magazines. But alas, this was not to be. At age 32, Luna would die of a heroin overdose, leaving behind an 18-month-old daughter. In 1968, at the age of 20, a young black model, who grew up in foster care in Pittsburgh, became the first African American model to be on the cover of the 80 year old legacy publication, Ladies’ Home Journal. A year later, she had another historic moment as the first black model on the cover of Life magazine. A personal triumph since early in her career, she was consistently turned down by agencies who told her she was too dark skinned. But Sims’ determination and drive lead her to approach the industry via other routes: approaching photographers. One New York Times photographer, shot her for the cover of the prestigious Times fashion supplement, which she mailed to advertising agencies. Suddenly she was in demand, landing a national AT&T commercial. This exposure led to working with top designers Halston and Giorgio di Sant’Angelo. But in those days, models were categorized as either print or runway. Despite her luminous beauty, Sims rarely did fashion magazine editorial work but was in demand for runway shows. It was said any outfit she wore down the runway was guaranteed to be bought by the retailers. As for personal style, Sims played up her dark skin, being an early rule-breaker of the no-white-after-labour-day rule, she often strutted down Manhattan streets in head to toe white. Her legacy would have to be the blueprint she created of the ideal model’s career. She left modelling and started several successful ventures aimed at black women – health and beauty books, an advice column and a wig company which had annual sales of $5 million. This career chart is one since adopted by many models who parlayed their fame, beauty and model experience into cosmetic and fashion lines. 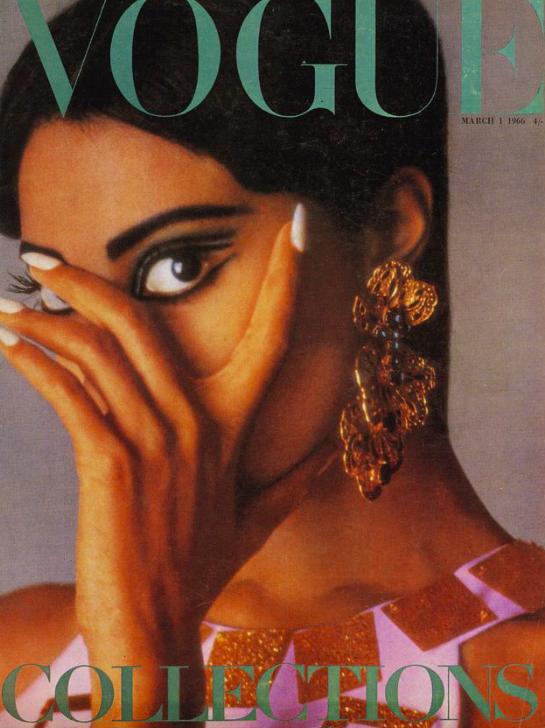 It took almost eight decades in the American Vogue’s history before a woman of colour appeared on the coveted cover. And the model that finally broke that barrier in 1974 was 22-year-old Beverly Johnson. She was by no means a novice model when the historic cover appeared on newsstands. The Buffalo native, with dreams of being a lawyer, was in enrolled in Northeastern University but during a summer break, she landed a modelling gig with Glamour magazine. She left university for the Big Apple to pursue a full-time modelling career and was making quite a successful living, even gracing the cover of Glamour magazine twice. But her agent at the time, the legendary Eileen Ford, told her she would never get that coveted Vogue cover. But there were sweeping changes happening during that era – civil activism, a sexual revolution and more women entering the workforce. At Vogue, the flamboyant editor, Diana Vreeland, was replaced with Grace Mirabella, a pragmatic editor who was interested in depicting a more realistic image of women in the magazine which reflected the changing times. Instead of fashion fantasy, there were now spreads on how to dress for the office. Back then models were never told if they would be on the cover and the shot of Johnson was by famed fashion photographer Francesco Scavullo. When the magazine hit the newsstands, the impact was felt throughout the industry. By the following year, other magazines were now booking black models. Johnson would grace the cover of Vogue three more times and accumulated over 500 other magazine covers in her career and became one of the top earning models of that era. She would go on to pursue a career as an actress and also champion civil rights and support other models of colour. But in 2014, she made headlines when she wrote a story for Vanity Fair, detailing a meeting with Bill Cosby where he drugged her. But before passing out, she screamed and fought him off before he put her in a cab and sent her home. She wrote about the incident in her 2015 memoir, The Face That Changed It All. Cosby would countersue her for defamation but would later drop the lawsuit. The godmother of the diversity movement in fashion is unquestionably Bethann Harrison, the Brooklyn-born model who began her career back in the 1960s. But that didn’t stop her from being cast in one of the decade’s most influential fashion shows that helped put black models on the fashion map – the Battle of Versailles in 1973 in Paris. She started her own modelling agency in the 1980s and represented black models who went on to gain fame such as Veronica Webb and male supermodel, Tyson Beckford. Back in the late 60s, Cleveland’s agent, Eileen Ford, told her she would not make it as a model because there was not a lot of work for coloured girls. But Cleveland would go on to be a prolific model becoming a queen of the catwalk, strutting for numerous designers including Valentino, Yves Saint Laurent and Karl Lagerfeld. She was renowned for her distinctive strut, bringing a sense of drama, personality and theatrics as she walked down a runway. She treated every show like a performance piece. The Vogue editor Andre Leon Talley, once referred to her as the ‘Josephine Baker of the international runways.” No wonder she was one of the chosen black models to walk the infamous Battle of Versailles fashion show in Paris in 1973. As a mixed race model in New York (her father was Swedish) she faced a double-edged kind of racism, she wrote in her 2016 memoir, Walking With Muses. She wrote how was turned down for jobs because she was either considered black or not black enough. She credits her move to Paris in the early 1970s, where the industry was more accepting, to help get her career to take off. During those heady times, she became friends with Karl Lagerfeld, posed for Salvador Dali and dated Mick Jagger on-and-off. Cleveland has since moved back to the US and at age 67, occasionally models. Her daughter Anna Cleveland follows in her footsteps as a model and sometimes both mother and daughter are booked to work together. The story of how Iman was discovered was one concocted with mythic proportions. An adventure-loving photographer, Peter Beard, had declared he had discovered an exotic beauty who didn’t speak English in the wilds of Africa and was bringing her to America. While that story piqued the interest of the press and the fashion industry, the truth was that Iman, the daughter of a diplomat and a gynaecologist, spoke several languages and was a student at Nairobi University when Beard saw her on the street and begged her to allow him to take a few photos of her. He sent the pictures to the Wilhelmina Agency in New York and they invited her to come to the Big Apple to be a model. When she arrived in New York in 1976, she became an instant star. Vogue booked her immediately and Newsweek ran a story a week after her arrival, stating she was the hottest model. Obviously, Beard’s wild tale worked. 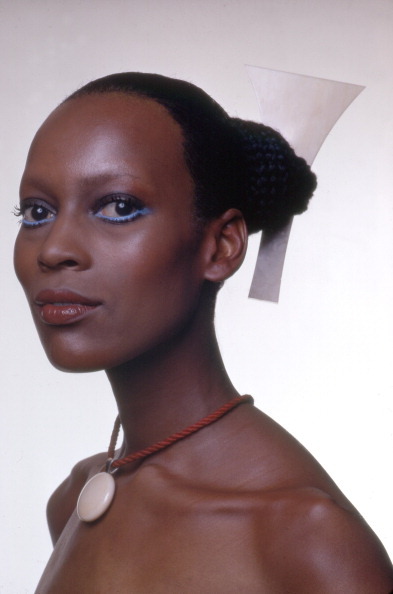 But the Somalian-born model’s arrival on the fashion scene was pivotal as she helped broaden the parameters of beauty. After 14 years of being an in-demand model, she left the runways and became a beauty mogul, launching an eponymous cosmetics line with an extensive range of colours for ethnic women. She also became a human rights activist and was married for 24 years to the late David Bowie. After his death, Iman, now 63, leads a private life in New York with their daughter.